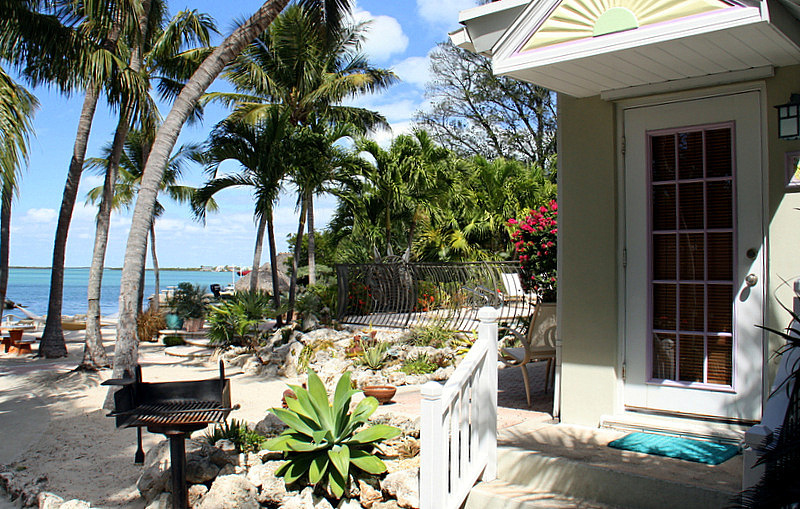 The Florida Keys offers a multitude of interesting options for places to stay. 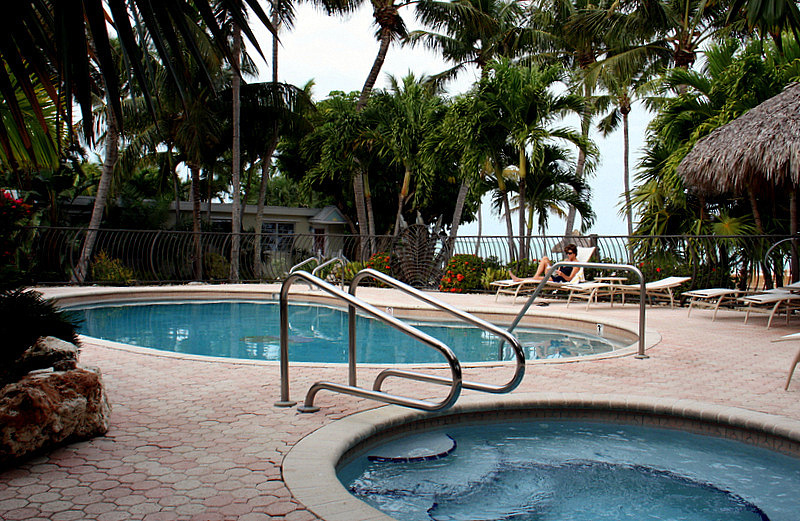 We found a small resort in Key Largo that was different from anything we had previously experienced. If you like the romance of “Old Florida,” you are sure to love this getaway. When it comes to family owned resorts we have learned to expect the unexpected. 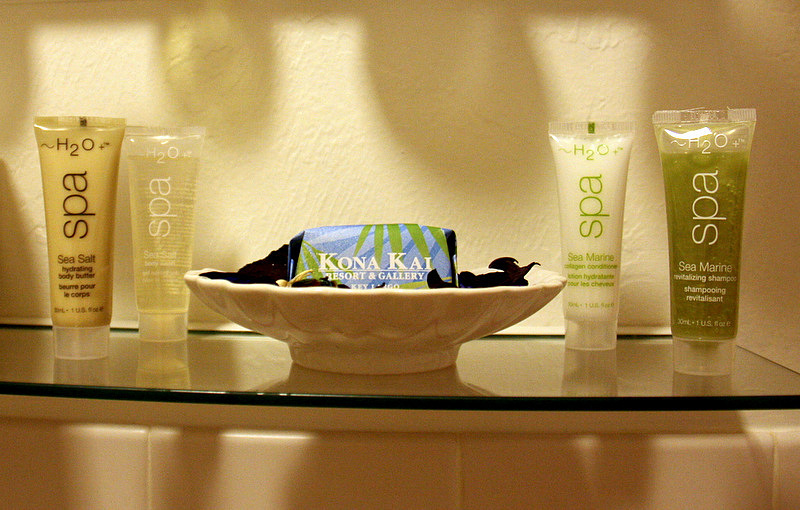 Such properties often reflect the imagination and ingenuity of entrepreneurial owners, and the Kona Kai Resort is the essence of the concept. 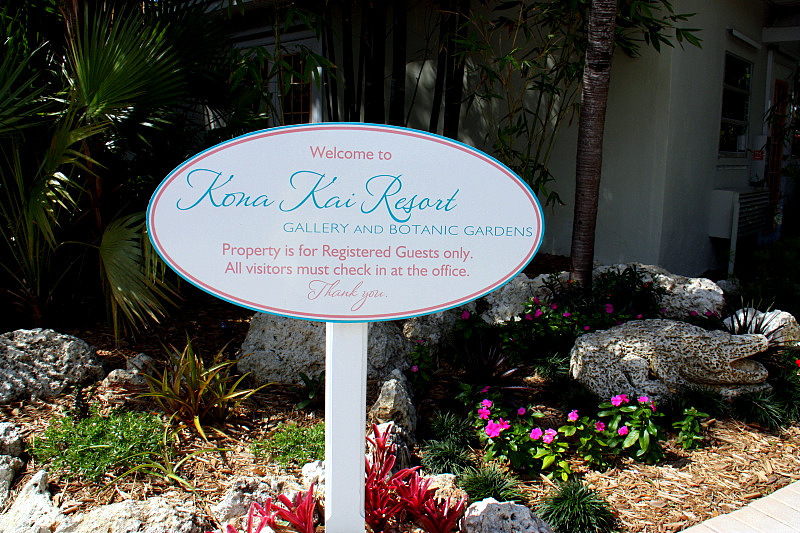 Owners Joe and Ronnie Harris purchased the two acre Kona Kai grounds in 1991. They immediately began to painstakingly renovate the stunning waterfront property and transform it into a comfortable “Old Florida” resort – a style that is most becoming in the relaxed setting of the Florida Keys. The resort is designed in bungalow fashion and consists of single level guestrooms and one and two bedroom suites that vary in furnishings and views. 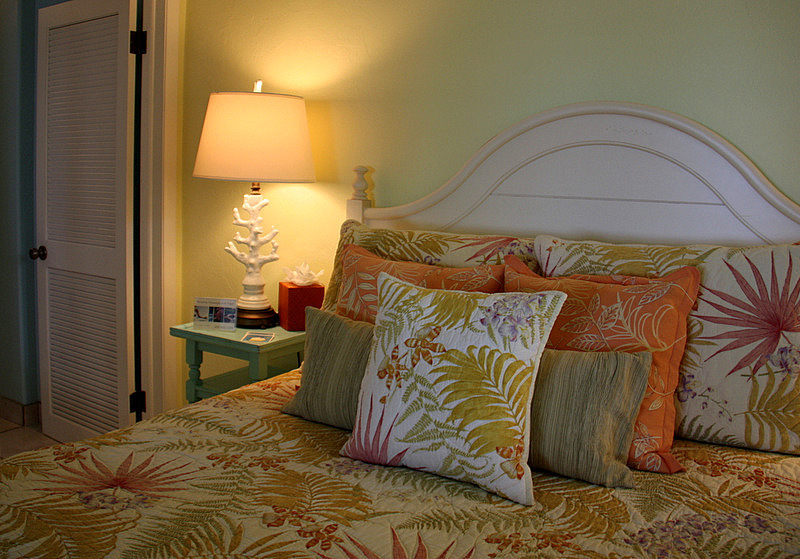 All 13 accommodations have air-conditioning, ceiling fans, flat panel TVs with DVD players. Suites have CD players and fully equipped kitchens. This is an excellent resort for a stay of any duration. 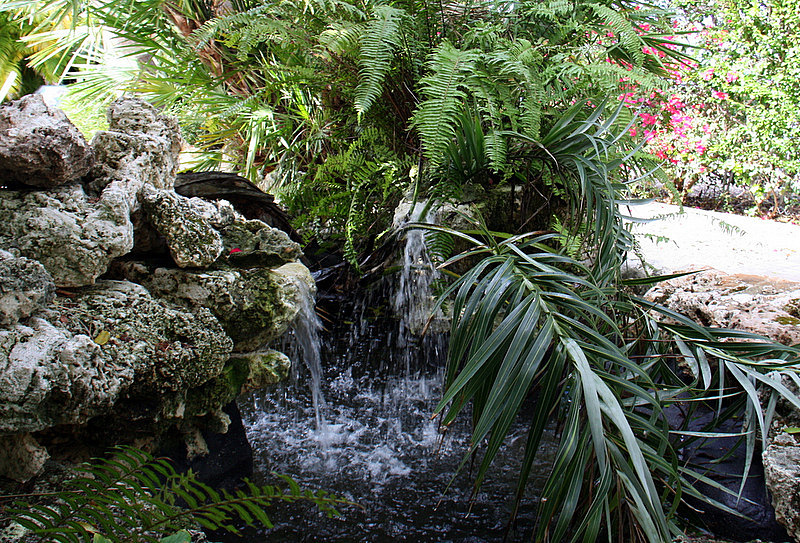 What sets this property apart is that it is an integral part of an exclusive botanical garden. 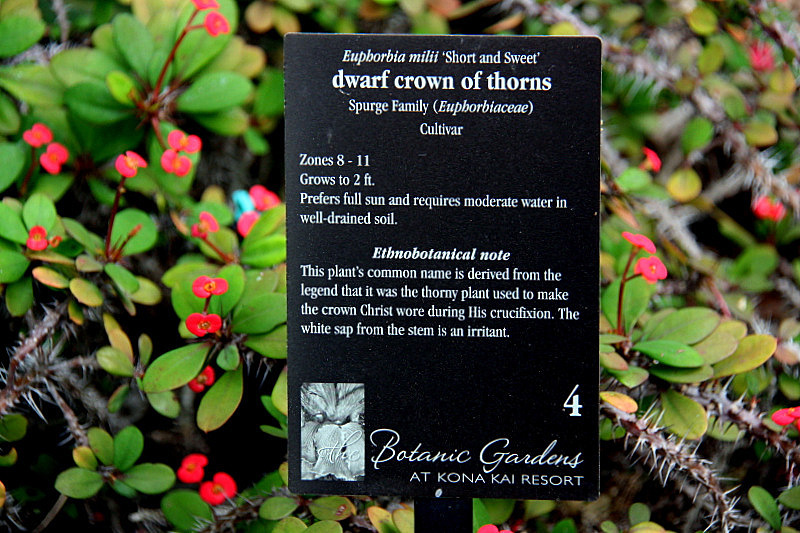 Starting with mature mahoganies, gumbo-limbos, coconuts, and Washingtonians, the plant loving owners began adding hundreds of new tropical and exotic flora and the Botanic Gardens of Kona Kai was born. 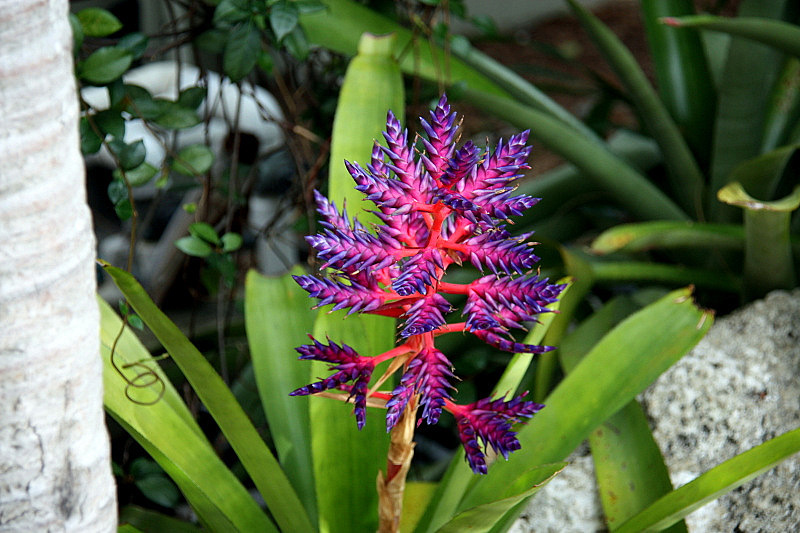 Today, guests get to live in a garden that features more than 150 orchid specimens, 42 different species of palms, 25 native plant species, 11 bamboos, 21 grasses, 15 tropical fruiting trees and plants, and numerous bromeliads. New plants are being added regularly. 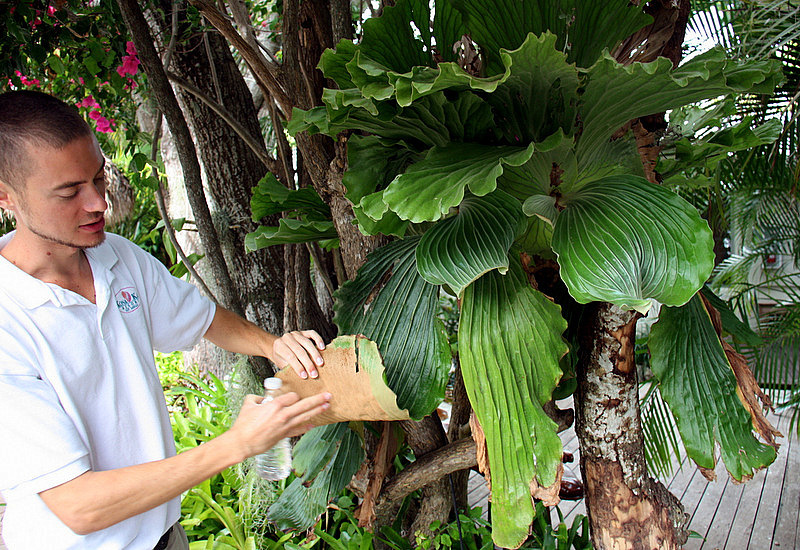 Each guest of the resort also has a unique opportunity to take a self-guided tour of the gardens, or a 90-minute “Transforming Your Understanding of Plants” tour guided by one of the credentialed staff at the resort. The garden is a veritable walk through time with plants that can be traced to the Age of Dinosaurs. Joe and Ronnie have focused their garden around the science of Ethnobotony, the study of the relationship between people and plants. They want to provide their guests and visitors with a better appreciation of the role that plants have played in the development of human life. 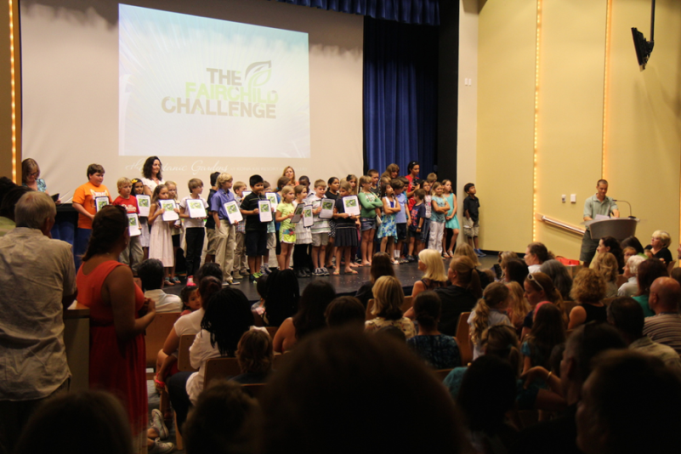 To that end, the Kona Kai Gardens sponsors a successful annual environmental outreach program for kids that offers students in the upper Florida Keys the opportunity to research and analyze environmental topics, and appreciate the beauty and importance of plants in nature. The Harris’ interests are not limited to the earth sciences; they have also used their Key Largo resort to showcase original works of art in the Gallery at Kona Kai. 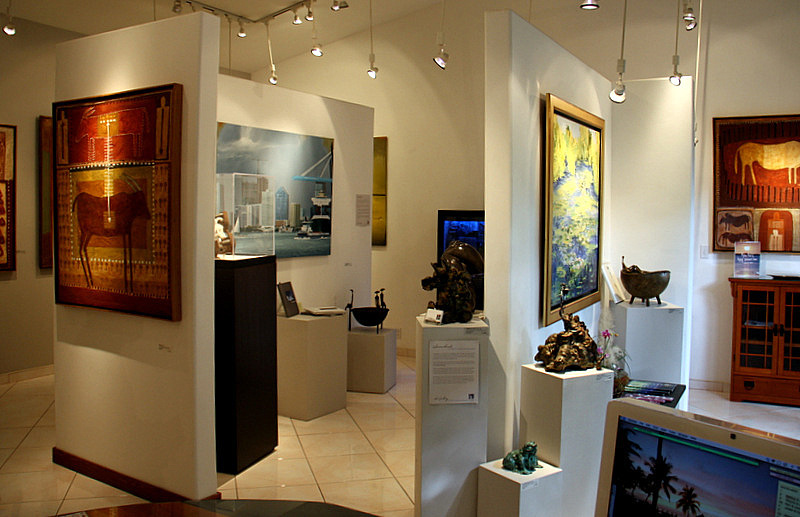 The Gallery is where incoming guests register, giving all an opportunity to peruse the interesting art exhibits and purchase the many unusual specialty items found in the guestrooms. Lest we forget that this wonderful botanical and artistic enclave is also an extraordinary resort of the first order, let’s look at the hospitality aspects of the Kona Kai Resort. 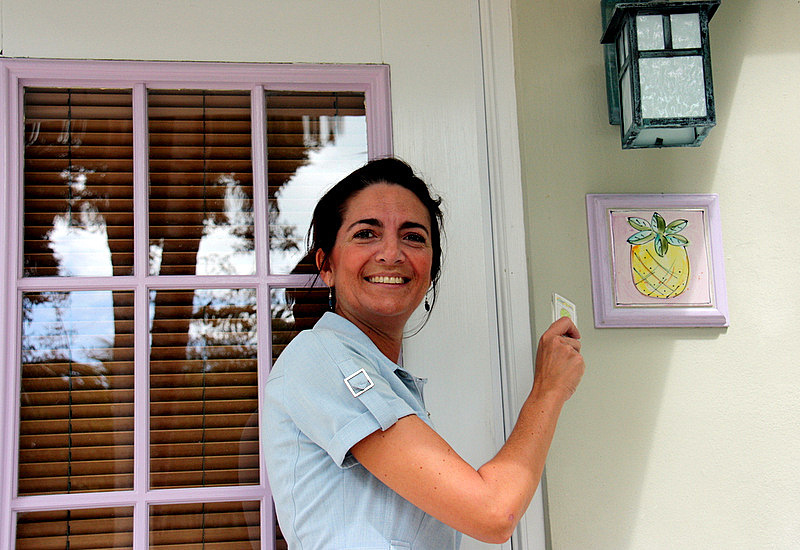 When we were shown the Pineapple Suite we loved it. We had a view of the waterfront, and were just steps away from the sparkling pool and hot tub. We felt right at home the moment we entered the suite through the living room door. The Kona Kai swimming pool and hot tub is pictured above. 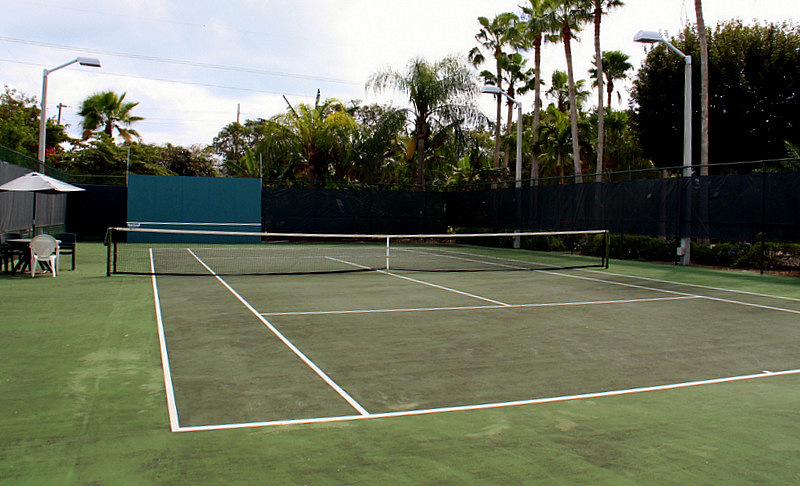 There’s also a tennis court, kayaks and paddle boats – the use of which is complimentary for guests. Dolphins and Manatees are seen just to the front of the Kona Kai beach, so keep a watchful eye. Scuba divers will be happy to know that the resort provides equipment lockers, and a fresh-water soak and equipment wash down tank. Diving in the famous John Pennekamp Coral Reef State Park is just minutes away at Mile Marker 102.5. The area around the resort has many dining venues, and there is a supermarket near the property for those wishing to cook in their suite’s kitchen. 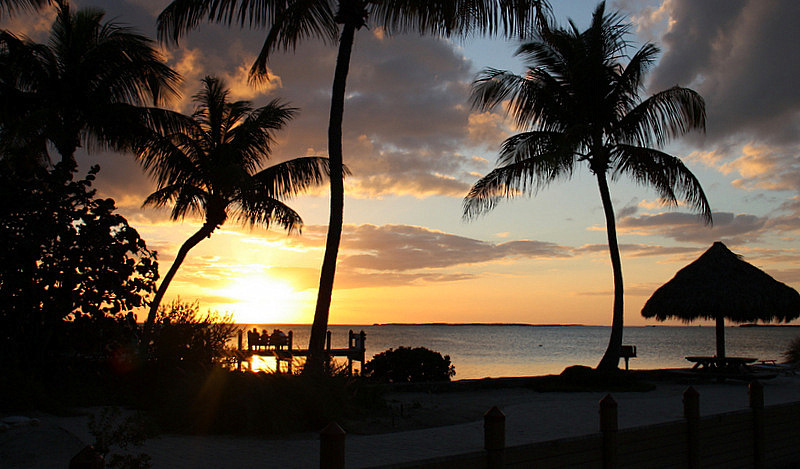 The resort offers some of the best sunset watching in the Keys. The Kona Kai website is *here* There is also a website specific to the gallery at www.g-k-k.com. 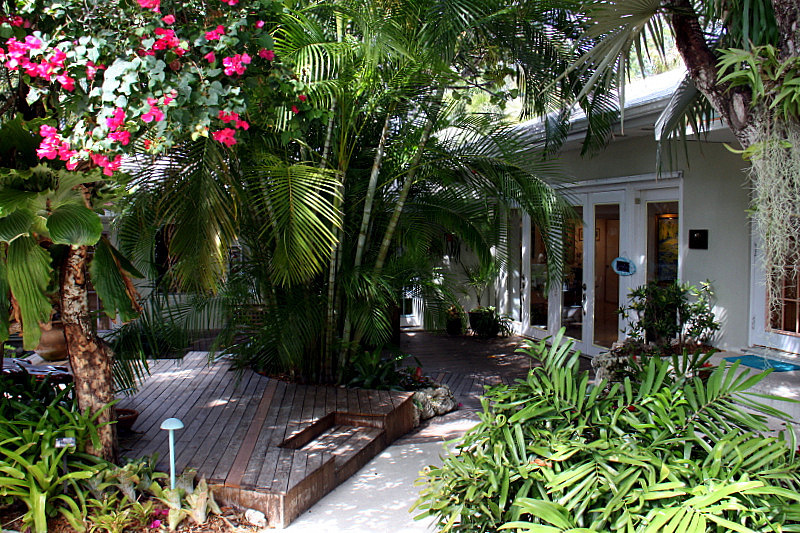 Each site has information you will want to read if you are planning a trip to the Florida Keys. 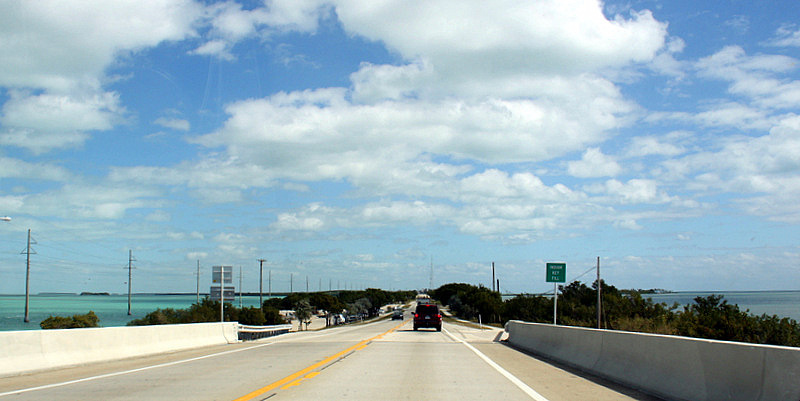 Take the Overseas Highway – US 1 South into the Keys for approximately 30 miles – watch for Mile Marker 98 in Key Largo. Then watch for the oval Kona Kai Resort sign on your right. You have arrived, have fun! By the way, the resort is not far from the dock of the authentic African Queen. 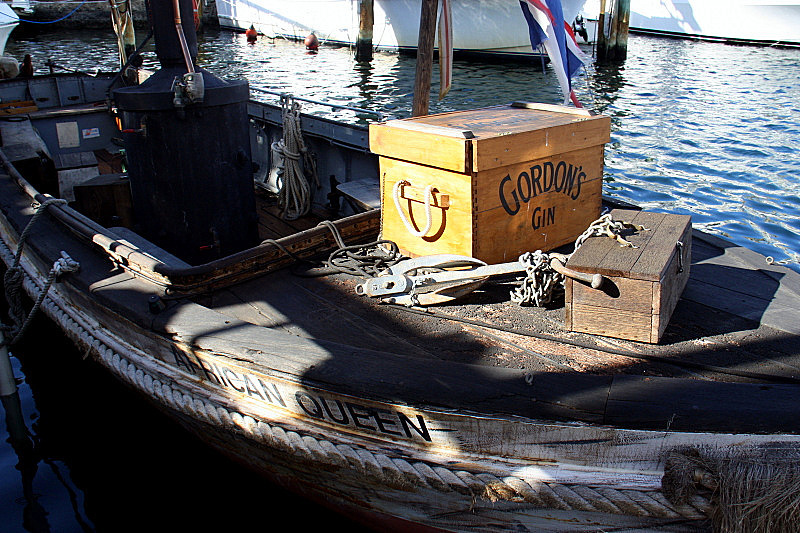 Fans of the 1951 movie starring Hepburn and Bogart, won’t want to miss an opportunity to see and take a ride on this historic boat – we photographed our adventure on the “Queen,” and our pictures and story will be published soon. 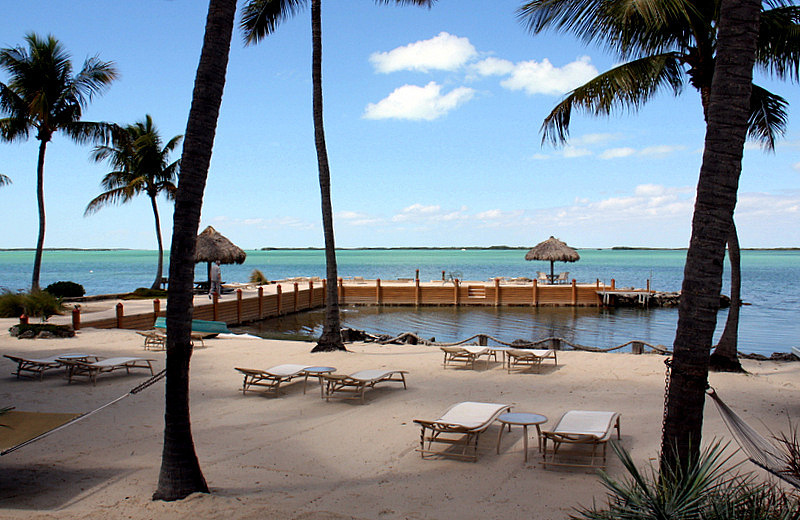 As you head further south on Overseas Highway US 1, you will find two uber-luxurious resorts, one on Islamorada, the other just off Little Torch Key. We have visited both these properties, and you can click on their names below to read about them.